Specifically, track racers, Road cyclists, Youth recreational and racers.We can also fit you to your bicycle for optimum preformance. Many of the services I offer come with being a member of the Kallisto-FCV Youth Cycling Team.... outside of those members I charge $50.00 per month for basic programs, up to $150.00 for very complicated individual programs.I'm currently looking for 7 athletes to work with. 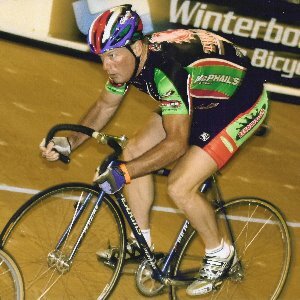 I have been involved with cycling for over 30 years. I raced at the highest levels in several categories.As a Junior I focused on the track and developed speed and endurance that helped me later in life as a master athlete.During the past 10 years I have again focused on track cycling while running the Forest City Velodrome in London Ontario.Currently I look after Team Ontario (Provincial track programs) and spend time with the National Junior program on the track.I like to see youth athletes develope no matter which category they may race. Over the years many of the youth that started with me have gone on to World Championships on the track and compete on various levels on the road. Willingness to go to the next level!!! Success. Coach Rob Good has been notified of your message.